The legendary UAZ SUV is off in an unprecedented expedition on the picturesque, yet rugged regions of Russia. Powerful domestic cross-country vehicles have to go through many trials in the expanses of the country! There are three game modes (Exploring the world, Delivery and Checkpoints). 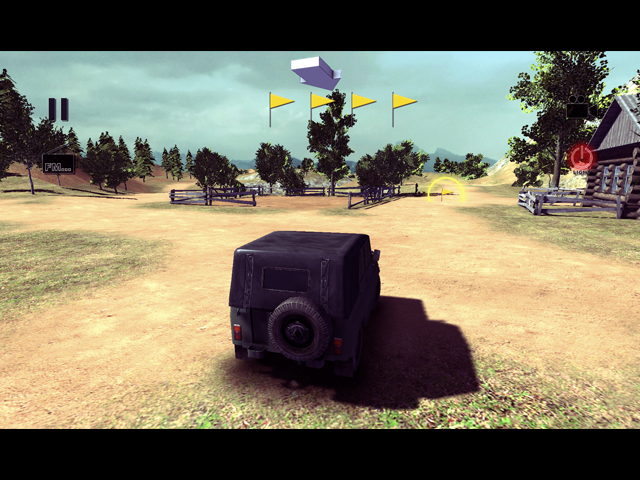 Explore the vastness of Russia, perform tasks, and feel the power of the legendary UAZ! Features: - Large Map. - Diverse terrain (mountains, villages, fields, etc.) - Modern graphics and effects. - Pleasant music. - 11 types of camera views. - Different weather conditions (fog, rain, etc.) - Game modes (Free Driving, Delivery & Checkpoints) - 3 models of the legendary brand. - And much more! The legendary UAZ SUV is off in an unprecedented expedition on the picturesque, yet rugged regions of Russia. Powerful domestic cross-country vehicles have to go through many trials in the expanses of the country! There are three game modes (Exploring the world, Delivery and Checkpoints). Explore the vastness of Russia, perform tasks, and feel the power of the legendary UAZ! Features: - Large Map. - Diverse terrain (mountains, villages, fields, etc.) - Modern graphics and effects. - Pleasant music. - 11 types of camera views. - Different weather conditions (fog, rain, etc.) - Game modes (Free Driving, Delivery & Checkpoints) - 3 models of the legendary brand. - And much more!